Waterproofing is one of the most essential procedures during construction and renovation of buildings. Without proper waterproofing, your structure can be exposed to various threats that could easily wreak havoc on the foundation, basement walls, concrete slabs and other components. Besides, poor waterproofing or failure to conduct the procedure can also cause a series of health risks to the occupants of the building. Therefore, it is always appropriate to know where to turn to for waterproofing when constructing or refurbishing your building. Waterproofing Singapore are the waterproofing professionals that can deliver ideal solutions to effectively shield you from all the threats pointed out above. We specialize in waterproofing services for all kinds of developments across Singapore. Our company’s accredited and our commitment is to see to it that you can always get the best waterproofing and repair, and painting services for your specific needs and budget. Having been in the industry for many years, we have a better understanding of the varying customer needs when it comes to waterproofing services. In case you have a waterproofing problem in your residence, our home waterproofing package is the most suitable to acquire. Besides, this package is also recommended for developers of residential establishments. Our home waterproofing package is ideal for all kinds of residential developments including, HDB, landed property, condos among others. Whether you are constructing a new home, renovating an existing one or simply need waterproofing repairs, we can always provide professional home waterproofing solutions. Our home waterproofing services cover basements, foundations, bathrooms and toilets, balcony, roof and concrete. Commercial waterproofing is mainly recommended for business premises or commercial buildings. We can either do waterproofing during construction, renovations or any other time that you may need. For convenience, our company can always schedule the procedures during non-working hours. Depending on the condition of the building, we can also respond to perform waterproofing on short notice. Since our company has adequate personnel and materials to conduct commercial waterproofing, we can always handle all kinds of projects with a guarantee of the ultimate solutions. In commercial waterproofing, we cover the roof, foundations, basement walls and concrete waterproofing. Industrial developments like, factories usually use a lot of machines in their activities. As machines vibrate, a lot of pressure is exerted on the building, which can easily weaken the structural components. Waterproofing is one of the best ways to ensure that such buildings are able to maintain their strength even under persistent use of machines. And, our industrial waterproofing package is the most suitable for factories and other similar developments. We can offer industrial waterproofing services both during construction, renovation and any other time that you may need the procedures. Despite the size of your industrial development, we can deliver the best waterproofing services for the foundations, basements, concrete and roofs. 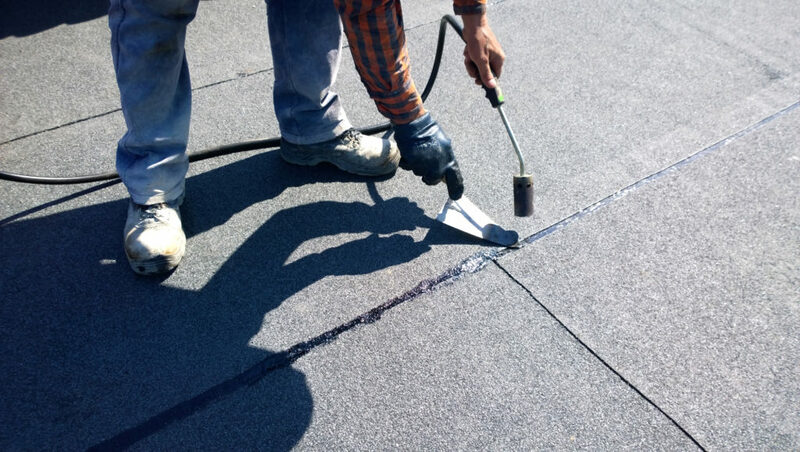 Although waterproofing can always be done during renovations or whenever a problem is realized, the best time to do the procedure is during construction. In fact, if the waterproofing is properly done during construction, the building can last for years without frequent structural repairs and maintenance. That is why we also provide construction waterproofing, which is exclusively for new residential, commercial or industrial developments. Our construction waterproofing package covers several areas including, foundations, basements, bathrooms and toilets, terraces among other components. Building waterproofing is a great way to restore the credibility of your property. In case you are faced with an emergency waterproofing problem, we can always respond to quickly inspect the building and deliver tailor made waterproofing solutions. We understand that even with proper waterproofing during construction, tear and wear and common occurrences that could harm your building without any signs. Thus, we also provide professional building waterproofing services that you can always hire and acquire on short notice anywhere in Singapore. Our building waterproofing package can cater for foundations waterproofing, basement walls waterproofing, bathrooms and toilets waterproofing, balcony waterproofing and roof waterproofing. Our company has the trained waterproofing specialists with greater experience on the job to always provide lasting solutions. This is one of the reasons we offer a comprehensive waterproofing service area for both homes, commercial and industrial developments. We have the expertise to effectively address all kinds of common and complex waterproofing problems. Time is always of great essence in all our activities. Whenever you talk to us for waterproofing, our company will always dispatch a team at your service in the shortest time. Even if you may be suspecting a problem on the foundations, basements or other sections of the building, we can always provide free inspections to thoroughly diagnose all the hitches and, suggest suitable waterproofing solutions. Our company can also plan and conduct regular inspections on your building to ensure that waterproofing problems are always detected and contained on time. Another reason to always rely on us for waterproofing Singapore is affordability. Our company has the most competitive rates in the industry to make sure that you can always get professional waterproofing services for less. With us, you can even get customized waterproofing services for the particular budget that you have. Regardless of your budget, we can always work out a fair estimate without compromising the quality of service. Since we provide a wide range of waterproofing services, we have a dedicated team of Customer Care assistants to offer the best guidance to clients when hiring our services. After carefully listening to all your needs, our assistants will suggest the most suitable waterproofing package from our portfolio. This will enable you to quickly get the best waterproofing solutions for your property without a lot of hassles. Simply talk to us for the ultimate waterproofing solutions Singapore!